Two seatings • 12 p.m. & 3 p.m.
Thar “Fancy Scallywag!” be Pirates in th’ House. 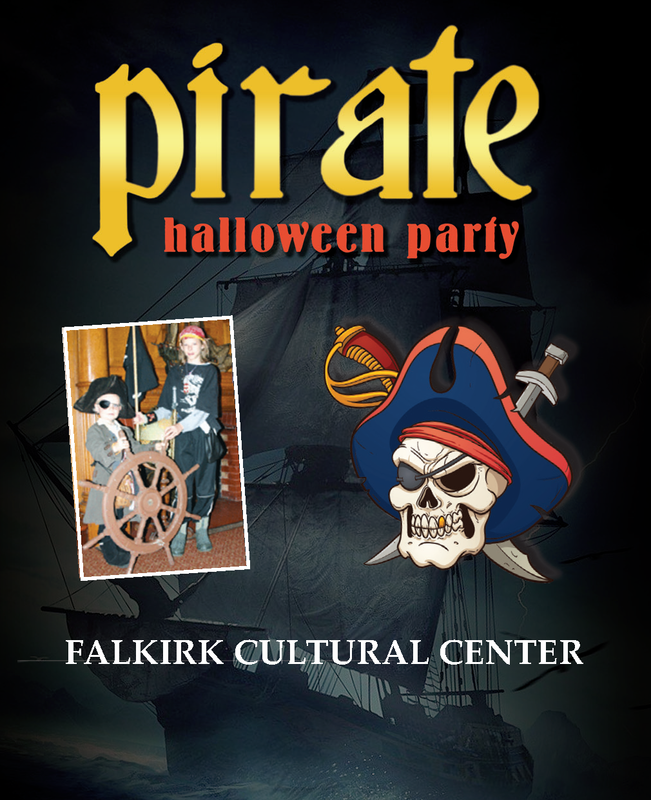 Put on your best Pirate gear, br’n your crew an’ come th’ Falkirk. Join a pirate crew fer grog an’ a feast. Set out on th’ grounds fer pirate treasure. A “Curse Th’ Powder Chest!” festive Hallow’n event fer children o’ all ages. Eat an’ be merry an’ fi nd your buried treasure wi’ carbunculously real pirates. Event includes a, “pirate feast” with real pirates, treasure hunt, individual treasure and Halloween tricks and treats! Yu’r crew will have the best Halloween ever!